Cette description du travail de Dorica Dan a été rédigée lors de sa sélection comme Fellow Ashoka en 2018. According to the EU Orphan Drug Regulation, a disease or disorder is defined as rare when it affects less than 1 in 2.000 people. It is estimated that circa 6% of the world population suffers from rare diseases. With extraordinary stamina and perseverance, Dorica is shuffling the existing services and roles in the field of health and social care for rare diseases. She is demonstrating that irrespective of the personal financial resources or the wealth of a country, all rare diseases patients can be offered a good quality of life in a society where they are integrated. Dorica is building an entire collaborative ecosystem for rare diseases based on trust. She connects patients, families, doctors, professionals, authorities, researchers, industry, academia and care services to empower and connect them, thus ensuring continuity of care. She created a unique patients-run one-stop-shop in Europe, that offers holistic and cross-sectoral medical, social and educational services to over 10% of the diagnosed patients in Romania. To reach 1 million diagnosed and undiagnosed patients spread across Romania, Dorica also introduced a new role for social workers and community nurses: the case manager. It is the central point of contact for patients, guiding them through the web of services, facilitating collaboration with experts within and outside the country and creating a holistic care pathway including medical, social and counseling services. An established European leader in the field of rare diseases, Dorica proved that rare disease care is not just for the wealthy countries. It can be done in a low-income country like Romania. Moreover, her solution goes beyond the field and could impact the lives of all people with disabilities. She is not only inspiring and supporting neighbouring countries to adopt and adapt the model, but she is building a continental platform of communication, collaboration and innovation, involving all European countries. Moreover, she is raising the bar for the more advanced healthcare systems to continue to innovate and convinces them that to do so, they can only do it together. She is empowering all actors, including doctors, ministers, patients and caregivers to create a circle in which they are all equal and they all share responsibility for the new care system. According to Eurordis, the European Alliance of Rare Disease Patient Organisations, worldwide about 6-8% of the world population suffers from one of the 8000 known rare diseases (300 m. people). 80% of rare diseases have genetic origin, 75% affect children and 30% of children with rare diseases won’t get to the age of 5. There are often multisystem disorders whose symptoms may change over time and often lead to comorbidity and hide underlying diseases, like autism or epilepsy. They might affect physical, mental, behavioral and sensory abilities and cause multiple disabilities, loss of autonomy and isolation, leading to both a decrease in their quality of life and a higher cost for the welfare state. At the EU level, member states allocate on average less than 5% of the total pharmaceutical expenditure for rare diseases (EURORDIS 2018). When it comes to rare disease healthcare, the focus is on medical treatments and the research and development of new drugs. Many of the advocacy efforts of the patient organisations concentrate on increasing the access to treatments and increasing the budget allocations for research and development. However, for the pharmaceutical industry the research for rare conditions is not cost-effective due to the low demand. As a consequence, less than 5% of the rare diseases have drug treatments and they remain inaccessible for a significant part of the population who cannot afford them or whose health insurance does not cover them (Medicines in Development, 2016 Report). There are only 45 authorized orphan drugs in Romania, compared to 143 at the EU level and over 500 in USA. Out of the 70+ orphan medicines approved by the European Medicines Agency up to April 2014, 18% of them had an annual cost above €111,000 (EURORDIS 2018). The current system is designed for high income countries. Emerging economies still struggle to make rare disease a public health priority. Often dedicated budgets are not available or are very low even just for treatments, let alone for research. Harmonised formal data on the number of patients is not centralised, some remain undiagnosed or are simply registered as disabled or with a metabolic disorder. Worldwide, medical and social workers often lack knowledge regarding the 8000+ rare diseases. In Romania, public health insurance doesn’t cover the costs for all genetic tests. In rural areas where 45% of the population lives, in addition to a scarcity of medical facilities, economic migration in the past 10 years has resulted in 15.000 healthcare staff leaving the country. As a result, citizens lack access to information, as well as appropriate services for their conditions. According to the EurordisCare2 survey, regarding Ehlers Danlos syndrome, 1 in 4 patients waited for more than 30 years to be diagnosed, 40% of them had received a wrong diagnosis and among them, 1 in 6 underwent surgical treatment based on this wrong diagnosis, affecting their health, personal and public budgets. Statistics are similar for other diseases. Public healthcare systems fear the financial pressure when more patients will be diagnosed and request healthcare. Healthcare services in Europe are still functioning in a top-down transactional approach. Globally, a holistic social and medical care model for rare diseases is not available. From her own experience as a mother and patient, Dorica knew that patients are just the recipients of a service and are not empowered as co-designers of services meant to address their needs. The focus of the healthcare service remains on healing, but rare diseases need to be contained often with interdisciplinary therapies rather than drugs. They also need to be managed in the long-term. Frequently, health and social services in Europe remain disconnected. Responsibilities and budgets are often separated between different ministries. Specialists don’t collaborate with one another, which means care is fragmented, affecting patients’ quality of life. They find themselves lost in a web of disconnected services and with no power in the face of policy makers. In Europe, healthcare innovation for rare diseases is siloed and the peer learning culture is still in its infancy. As a result, even when good practice models exist, they are not being shared or adapted for new contexts. Moreover, each health system is different and existing expertise for rare diseases is confined to few reference centers in high-income countries such as Norway, Sweden or Spain. Dorica is developing blueprints for a new rare diseases care system. She connects all stakeholders in the field, including patients, advocates for policy changes and builds national and international networks of specialists. She has developed an original one-stop-shop center for rare diseases and is introducing the role of case manager in order to scale the model across the world. When her daughter was diagnosed with a rare disease, Dorica looked for solutions in some high performing healthcare systems across the world, but she realised that each one was different, offering only parts of the care needed. To succeed in creating a holistic care system in her country she needed to involve patients and everyone in the field to take the lead and introduce process innovations and a new working culture to serve patients more effectively. Thus, Dorica's first step was to unite the voices of patients across the country in order to position themselves as equals in the decision making processes and in designing the healthcare system. With a clear vision and perseverance, she founded the National Alliance for Rare Diseases alongside 38 other patients organisations and brought key doctors and geneticists on her side. Sensing that the field was not ripe at the national level, she looked for opportunities abroad and focused on bringing experts and organising international events in Romania in order to build know-how and create pressure on policy makers and doctors. As a result of her advocacy work, she initiated a National Plan for Rare Diseases which was integrated in Romania's Health Plan in 2011. She convinced the government to set up an advisory Council for Rare Diseases and increase national budget allocated to rare diseases by 46% in 2014. This change helped integrate new diseases to the list of recognized rare diseases and gave access to more treatments, thus reaching 25% more people. To counter the slow implementation of public policies, Dorica prototyped her vision of care through NoRo, the only patients-run reference center for rare diseases in Europe, organised as a collaborative team of partners committed to building a straightforward pathway for patients. She convinced local authorities to provide the space and raised Norwegian funds to design a unique one stop shop where 10% of the diagnosed patients in Romania are getting holistic and cross-sectorial medical, social and educational services. Patients find out about NoRo online, from their doctors or via NoRo HelpLine, which has oriented almost 2000 patients (ie. 26% of the diagnosed population). They get access to diagnostics and therapies which are covered by the national health insurance, as well as individual and group counselling and social integration activities aimed to help them acquire a set of life and work abilities. The center also has the only registry for rare diseases patients in Romania. In the past 6 years, NoRo doctors undertook over 2200 consultations. With support from local and regional authorities and EU funds, today the center supports 73 children with daily services and 12 youth involved in the “Trial for Flight” autonomy program. Over 900 patients from across the country joined NoRo’s summer camps, therapeutic weekends, support groups and 5-day residential programs combining family resilience trainings with therapies and meetings with specialists. To break the isolation which often surrounds patients of rare diseases, Dorica empowers them to speak up at Radio NoRo, where they can share their stories and inspire each other. Moreover, knowing that for a more inclusive society, everyone needs to be aware, she works with schools to raise the empathy level of teachers and pupils via role playing and debates. Following some articles with harmful content for the patients, Dorica launched the School for Journalists, where she has already trained 120 journalists about rare diseases and facilitated interactions with patients to foster understanding. Because specialists are spread across the country, it is difficult for patients to reach them. Thus, Dorica has brought together over 50 pro bono doctors in a collaborative national network to create an information website about rare diseases, a national online map of services, as well as guidelines and magazines for patients and professionals. These doctors also respond to patients' questions via the HelpLine or during NoRo workshops. To further build the know-how and infrastructure on rare diseases across the country, Dorica trained almost 500 specialists and doctors via online and offline courses and organises regular events and conferences. In addition, to inspire other health centers to adopt a holistic and interdisciplinary care approach, she convinced the government to promote an accreditation system, 12 such centers having been already accredited and 30 are awaiting the decision. To better reach the undiagnosed patients and scale her new model of holistic care in any region of the world, Dorica realised that she can empower social workers and community nurses, who are paid by the public authorities, by training them for a new role – the case manager. As a central point of contact, the case manager is a navigator that guides patients or potential patients towards proper services across the country. Supported by a consortium of European partners from Spain, Norway and Austria, Dorica designed and piloted the case manager role for rare diseases in Romania with a group of 120 patients. In parallel, to upscale the model nationally, she succeeded to change the law, limiting the number of patients per social worker to 50. Her focus now is on training public social workers and the 900 community nurses as case managers. She gives them tools to identify, orient and accompany rare diseases patients towards existing services. She is also looking into developing a virtual system for case managers to easily register, track and connect each patient with doctors and therapists. Dorica’s European partners are already looking to scale this approach in their countries: Croatia, Sweden, Norway, Portugal and Spain. Dorica's work as a field builder has proved that rare diseases care can be effectively delivered in low-income countries. 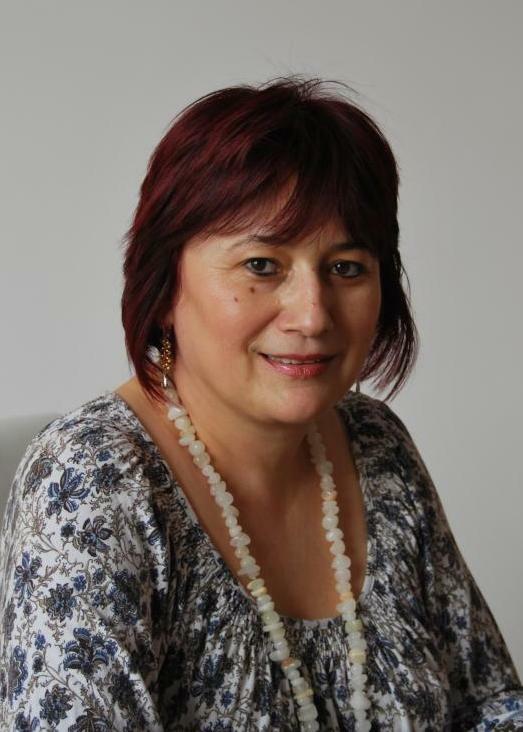 She became an inspiration both for countries in the region (Serbia, Slovakia, Hungary and Bulgaria) where she consulted governments as Eurordis Europlan adviser, as well as for countries with a history in rare disease management. Observing how the more advanced countries remained somehow isolated, as a true European leader, Dorica is pulling all resources together to create value for all, including for patients living in countries lagging behind. Through the collaborative platform RareResourceNet she enables both newcomers and well established centers such as Frambu in Norway and Agrenska in Sweden to share, innovate, build on each other's experience and lead the change in the rare disease care. Finally, as most rare diseases involve disabilities, her solution has a high potential to change the care system for all people with disabilities. Dorica grew up in a village in Western Romania. Although vaccinated against polio, at the age of 5 she still contracted the disease, which later on became a rare disease. Dorica spent part of her childhood in one of the two medical facilities available in the country, far from her family and friends. The local school children were used to having young patients from the hospital join their classes during their treatment times, and Dorica felt more at ease there than in her own school. Facing the realities of her illness alone helped her build a down to earth personality and a better understanding of different facets of life. At the age of 14, she still had some mobility challenges and related complexes, but her symptoms were more diminished. With strong determination she walked more than 10 km every weekend to lead her colleagues in organising music, theatre and dancing shows in neighbouring villages in order to raise money for their local school’s equipment. In the beginning of the 80s, as a student in Economics in Cluj-Napoca she gave birth to her daughter Oana and immediately realised that there was a problem, as she would not eat or cry. Based on doctors' counsel and drawing on her own experience as a child, she stopped her studies to fully focus on Oana's needs and provide her with therapies. Though she suspected her daughter suffered from a rare disease, no doctor could diagnose her and information was hard to get. Dorica enrolled her child in the education system and even volunteered in the classroom to help Oana better integrate. Years later, taking part in a Montessori course, a Swedish teacher told her that her daughter might have Prader Willi Syndrome. When Oana was 18, Dorica managed to receive a proper diagnostic from a health center in Italy, confirming this rare disease. But her fight was not won, the journey had just begun, because the growth hormone treatment for her daughter was not available for adults. Alone, with no information about other patients with similar disease, her hands were tied. In 2003 she founded the Prader Willi Association and started to map patients, provide essential information and guidelines, but came to realise all patients with rare diseases encounter similar problems. This realisation empowered Dorica to put together all her skills, studies and experience to build the basis for a full restructuring of the healthcare system for rare disease based on collaboration and inclusion of all parties. Within 10 years, she was more than just a mother of a rare disease patient. Dorica became a European leader in key advocacy organisations, expert for the European Commission and governments, with a clear vision on how the system should look like.